Kellogg Community College Foundation Gold Key Scholar Logan Bateman will start his college journey this fall in pursuit of an Associate in Applied Science degree in Computer Programming at KCC. But it won’t be Bateman’s first exposure to computer programming, and it won’t be his first exposure to KCC. 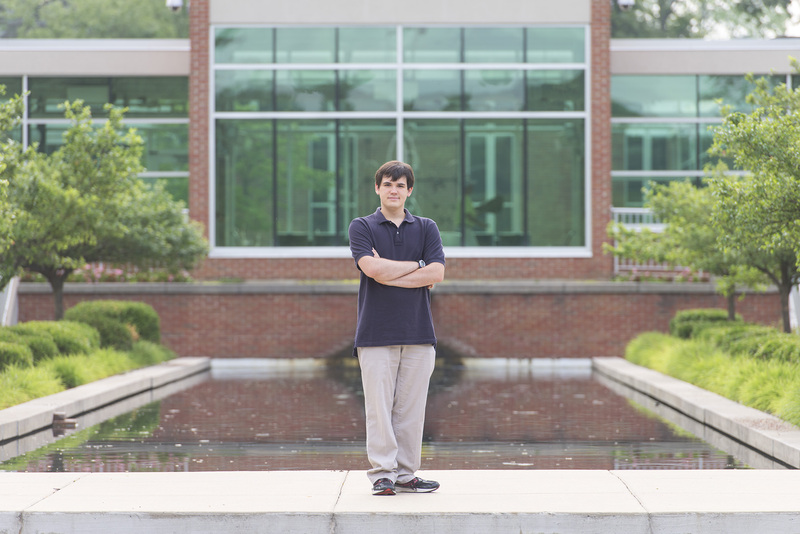 When he was younger, Bateman, 19, of Climax, was a participant in KCC’s Bruin Bots youth robotics program, where he worked with software and on programming the group’s robots. Today, as a recipient of the KCC Foundation’s Gold Key Scholarship – the College’s most prestigious scholarship – Bateman is taking advantage of an opportunity to turn the passion of his youth into a career. His interest in computers is long-standing. “I was always playing on the computer, messing around with it, changing its settings and messing it up,” Bateman says. Bateman graduated from Battle Creek Academy last spring. During high school, he spent two years attending the Battle Creek Area Math and Science Center and the Calhoun Area Career Center, where he studied computer networking. This year Bateman’s CACC team participated in the Air Force Association’s CyberPatriot National Youth Cyber Defense Competition and took first place in the state’s Open Division category. The competition puts teams of students in the position of newly hired IT professionals and tasks them with finding and fixing cybersecurity issues in a competitive environment. Bateman also participated in the National Cyber League, a “virtual training ground for participants to develop, practice and validate their cybersecurity knowledge and skills,” according to the NCL. It’s a long way from where he was as a youth participating with the Bruin Bots, which Bateman says is difficult to remember now. He does remember one thing, though, which may be obvious to those who’ve watched as he’s progressed on his computer programming journey over the years. “I liked being able to program the robot,” Bateman says.